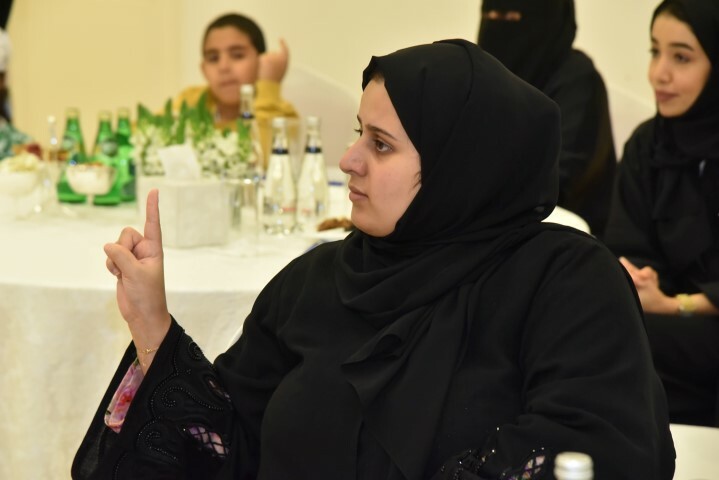 DUBAI, 9th November, 2018 (WAM) -- The Ministry of Community Development, MoCD, has organised a workshop titled "Basics of Sign Language" as part of Zayed Al Khair Initiative in cooperation with Emirates Council for Work Relations Development. Hosted by the ministry’s Community Development Centre in Dubai with the participation of a number of concerned entities and community members, the workshop is part of a field tour for the "Zayed Al Khair" initiative which began in Abu Dhabi on 20th October, 2018, and then went on to Al Ain and Dubai. The tour includes nine cities until 15th December, 2018, and will see the participation of a number of People of Determination from the "hearing-impaired" category. The purpose is to introduce the community members to the basics of sign language and communicate with these categories easily. The Zayed Al Khair initiative, coinciding with the "Year of Zayed", targets all the community members including the People of Determination, especially from the hearing-impaired categories. The activities are held everywhere in the Emirates in support of the initiative which was launched by Sheikh Saeed Bin Tahnoon Al Nahyan, Chairman of Emirates Council for Work Relations Development. The caravan will return after the end of the first phase of the programme to encourage people to learn sign language. A series of workshops at the same centres and different emirates will also be organised. The participants will receive a "sign language interpreter assistant" certificate after completing the examination and finishing specific working hours with the People of Determination’s "hearing- impaired categories". The ministry has, from January this year until 17th October, organised training workshops which were attended by 246 community members of all ages. The ministry encourages different categories from the community to learn sign language as well as those who are hearing-impaired.